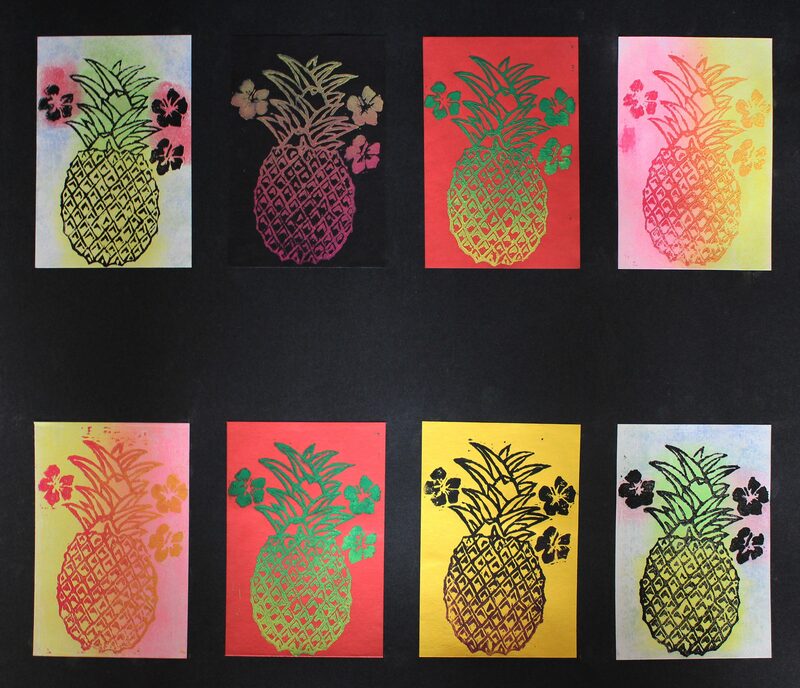 The title for my artwork is, “Anna’s Ananas” because I am from Germany and Pineapple is translated to ‘Ananas’ in German. Since I am in Alaska for eight months now and the winter is really long, I realized how much I miss the summer and for me a pineapple symbolizes summer. It is yellow like the sun and just tastes like summer.